Dare to Compete is the largest manufacturing conference on the prairies. 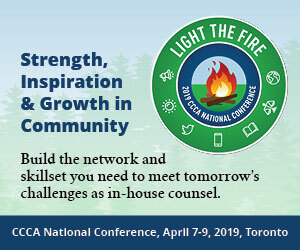 With more than 300 attendees, 85 companies and participation from front-line supervisors to the C-Suite, the conference has something for everyone. Dare to Compete features 3 engaging keynote speakers and 9 presentations from Manitoba's top companies, executives and leaders. Avoid Government Fines – Mandatory record keeping and reporting of privacy breaches in Canada and Europe. Carbon taxes have come to Manitoba – are you ready? Did you miss the November 1, 2018 deadline to implement a 'Customer Service Accessibility Policy'? Click here for more information and register.